iRealHousewives | The 411 On American + International Real Housewives: Lauren Manzo Scalia’s Husband Vito Shuts Down Divorce Rumors! Lauren Manzo Scalia’s Husband Vito Shuts Down Divorce Rumors! 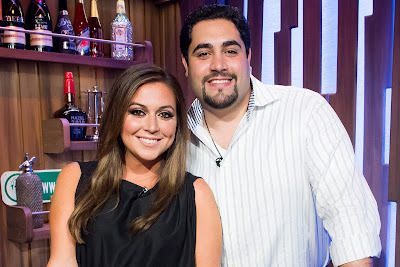 Lauren Manzo Scalia’s marriage to Vito Scalia is doing just fine, despite recent reports. Vito told Page Six that it is “absolutely not true” that they have split up. Rumors began circulating that the couple split since the Real Housewives of New Jersey daughter hasn’t posted photos with her husband in over a year. Scalia and Manzo tied the knot in 2015 in a wedding special for Bravo and welcomed their daughter, Marchesa Anna Scalia, last February. Fans have speculated on a split in recent months. Shortly after Marchesa’s birth, the family announced that “Manzo’d with Children” — which centered on ex-“Real Housewives of New Jersey” star Caroline Manzo and her family — was not returning after three seasons. It aired from 2014 to 2016.